Running out of hard drive space? It’s something we’ll all face eventually, and not everyone is a fan of external drives as a solution. 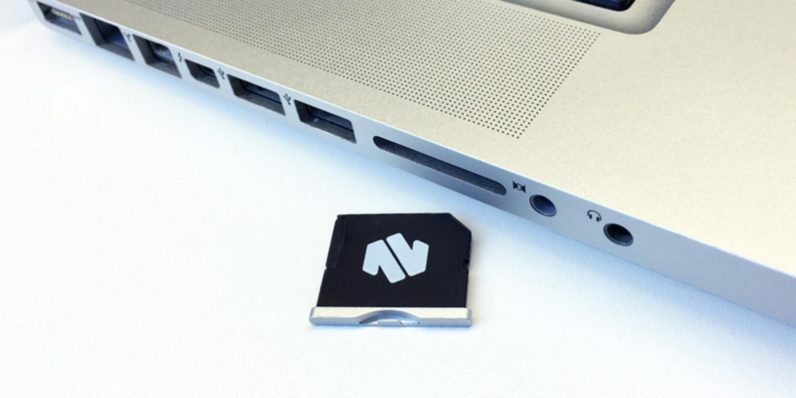 A better alternative has arrived with Nifty MiniDrive for Macbooks, which allows you to add up to 200GB to your Macbook without a bulky attachment. For a limited time, the MiniDrive can be yours for just $33.99 on TNW Deals. Simply slot an SD card into the MiniDrive, then slip the MiniDrive into the side of your Macbook Pro or Air. It’ll offer a powerful backup solution in the form of extra storage space and automated daily backups. Not only will you be safe from “low disk storage” warnings, you’ll also be secured in the event of data loss, accidental deletion, or other unfortunate occurrence. Plus, with a sleek silver exterior to match your Macbook’s aesthetic, expanding your storage space is as easy as inserting your MiniDrive and forgetting about it. This offer is compatible for the Nifty Minidrive for 13″ MacBook Air, 13” or 15” MacBook Pro, 13” MacBook Pro Retina, and 15” MacBook Pro Retina. Please note that MicroSD is not included. Store more with the Nifty MiniDrive for Macbooks, now 15% off for a price of just $33.99 from TNW Deals.